Spring is almost here and it’s time to bring some sunshine in your cooking! But is your kitchen ready? Being prepared with the right items means you are set for preparing quick, quality meals without a lot of stress, money or time. Smart shopping and stocking means less waste and more go-to items for those time-pressed weeknight meals and Spring celebrations! 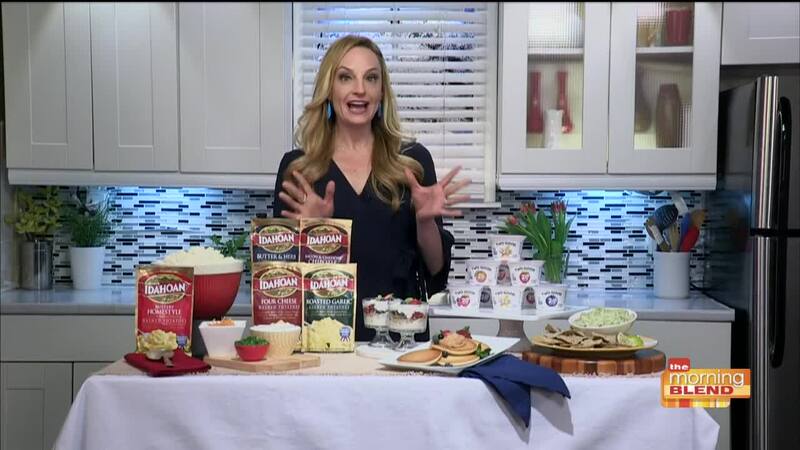 Cook Book Author Parker Wallace is here to share her must-haves and creative Spring recipe ideas to help make you a pro in your kitchen! Parker Wallace is the creator of "What's on Parker's Plate?" A blog with daily recipes and cooking tips for all palettes! She has a regular segment for CBS Atlanta titled “What’s on Parker’s Plate?” and is the author of Eat Rich, Stay Skinny: A Girl's Guide to Holiday Feasting[amazon.com] . In addition to being a regular contributor for the Huffington Post Taste Section, she also produces an “Eat Rich, Stay Skinny” video series that has been featured in the Huffington Post. Her tips have also been seen on Daily Candy and Hello, Beautiful.